Well to be honest, we’re excited about all of them. Today on the bus to work, I finished HubSpot co-founders, Brian Halligan and Dharmesh Shah’s keynote speeches at this year’s HubSpot conference. Formally (or digitally, or both?) known as #INBOUND17, the conference was a great chance to gather as an inbound movement to learn, network, and get inspired by a mutual drive to build meaningful, professional relationships based on value. 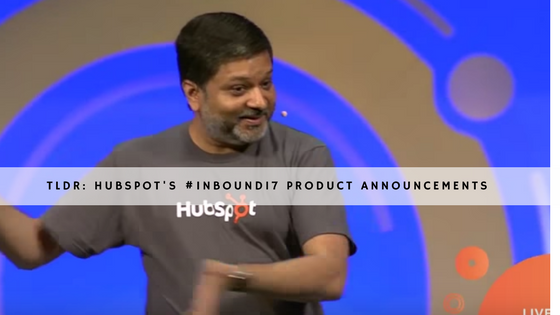 During Dharmesh’s speech as co-founder and CTO, he discussed the new products coming to HubSpot in 2018, and with them comes an underlying philosophy: more than anything else, people buy products based on recommendations, reviews, and good ol’ fashioned word of mouth. In short, people trust the advice of others above all else. With that in mind, HubSpot’s been moving in the direction of offering freemiums in order to pull more people into using their new features and allowing that positive experience drive an organic buzz. That all being said, let’s review HubSpot’s product announcements for 2018! Fast, stable, and secure, this is any company’s dream when it comes to building a website with easy-to-use templates. It also comes with developer tools like IDE, Custom Modules, and HubDB. Ready for a fun fact? According to third party data, the HubSpot CMS is 2X faster than the average CMS in North America! I may not understand developer jargon, but that speaks to me. Whether this makes you more or less confused, it’s worth noting that while initially called a COS (Content Optimization System), HubSpot has recently decided to join the rest of website creating world and call this tool a CMS. Good move HubSpot. More and more people are doing business over Facebook and HubSpot’s gotten on board. You now can create Facebook Leads Ads right from HubSpot. Leads will automatically be tracked and synced into your CRM and it’s optimized for mobile so viewers can sign up for newsletters, offers, or deals straight from their phone. Maybe the coolest part of this though, is the Audience Sync. Use the segmented contact lists you already have in HubSpot to send targeted messages to your Facebook audiences. But what about viewers who aren’t in your contacts list? Enter lookalike campaigns for those similar to your contacts, or as Christopher O'Donnell (HubSpot’s VP of Product) calls it, “the mind blow”. What’s next? Facebook retargeting, with early access now. HubSpot’s been getting a lot of questions on how inbound and ABM can work together, and the HubSpot product team did not disappoint. By teaming up with Terminus, a B2B Account-Based Marketing leader, you can now leverage their data to serve hyper-targeted ads not only to the people in your database, but also their peers in the same company. Interested in learning more about the coexistence of ABM and inbound? Check out this video below of Sangram Vajre (Terminus, CMO) and Kipp Bodnar (HubSpot,CMO) discussing the relationship between the methodologies. Products sync to HubSpot. Purchases sync to HubSpot. It’s all there. This further allows you to leverage list segmentation, automation, email, and more. Want to send a transactional email? Go for it. Interested in setting up an abandoned cart workflow? 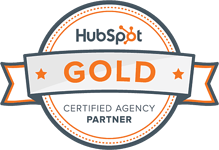 HubSpot’s got you. If you’re not the Shopify type, don’t fret. HubSpot is also rolling out an eCommerce bridge which allows developers to integrate any shopping cart – products, sales, you name it – with HubSpot. According to Darmesh, HubSpot’s team tried out a number of different top-tier DIY bots and ‘fell in love with’ motion.ai. A few meetings and handshakes later, and voilà! HubSpot acquires motion.ai. You can hear him tell the story in his keynote. Just skip ahead to 1:18:30 (at the bottom of this post). The software lets you build, train, and deploy AI powered chat robots to do almost anything imaginable. It can answer FAQs, qualify leads, and direct prospects to sales reps.
First we got to talk about the automation or Workflows. While this feature used to only be available for HubSpot Marketing, Workflows have come to the Sales CRM and it’s here to stay. For Sales Workflows, you can include New Deals, Tasks, emails, really just about anything you can think of putting into a workflow. The combinations are endless. Another Marketing feature that’s come to Sales? Sales Reporting. See sales engagement by date, rep, and lifecycle stage right from your dashboard. If you’ve got a growing sales crew, you’re going to love the new Teams feature that allows members to collaborate and share their work and reports. Christopher explains they’re now ‘baking’ artificial intelligence into the Sales newsfeed (though I’m not totally sure what that means), offering you priority notifications for the things you’re most interested in. What’s more? Send prospects emails at the ideal time based on previous openings. For every project, and campaign, ROI is the key to measure the return on your resources and efforts. Included for every tier of HubSpot Marketing, HubSpot will now show ROI for every piece of a campaign. Be it at the top, middle, or bottom of the funnel - you now have the power to analyze impact. For us an agency, we’re excited to put this feature to work in order to help our clients best understand the true value of their marketing investments. Starting out as free version (duh) coming out in early 2018, HubSpot’s excited to roll out the last piece of the end-to-end business trifecta -- Customer Hub. This announcement was a bit of an annoying cliffhanger if I’m going to be honest. Christopher didn’t give us much more to go on than that, so we’ll just have to hold on to the edge of our seats until their next round of announcements. Aaaand that’s a wrap! #INBOUND17 you left us totally starstruck at all the new features they’re coming out with and we’re so excited to see how you continue to change the way companies do end-to-end, personalized, and value-based business! See you next year. To watch Brian and Dharmesh’s keynote, check out the link below. 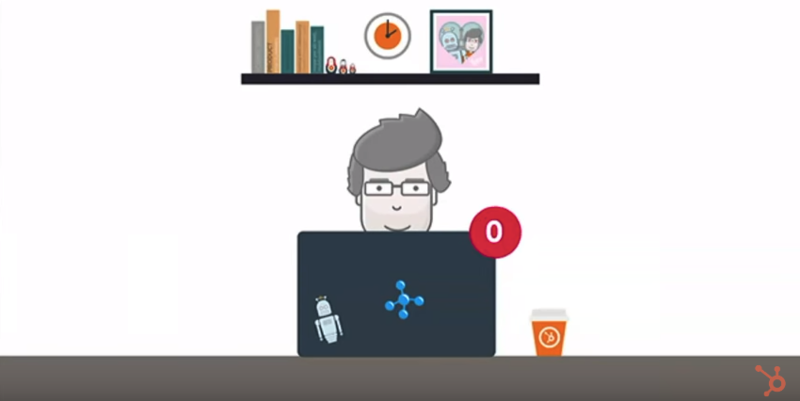 If you just want to skip to the product announcements part, fast forward to 1:08:26. To watch Christopher’s New Product Spotlight, you can you also watch that below. Shoshi hails from NYC, and is addicted to the startup life. She holds a degree in psychology and communications (IDC Herzliya) and is a published researcher. Your basic millennial, Shoshi loves gluten-free baking and sees her life through the lens of her instastories.